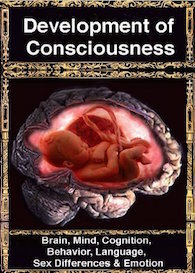 Consciousness may be lost following even "minor" head injuries. Likewise, with a "minor" head injury, patients may slip into a coma. If loss of consciousness and the development of a prolonged coma is immediate, it is likely that the brainstem has been injured. 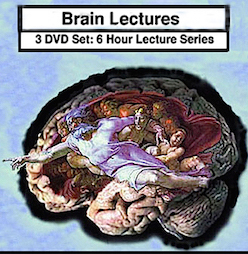 If consciousness is lost and the coma develops minutes or hours after the head injury, the cause is likely due to intra-cerebral bleeding and compression of the brainstem as the cerebrum is squeezed (by the developing pool of blood) into the foramen magnum (at the base of the skull), thus injuring the brainstem--the brainstem mediating not only consciousness (via the reticular formation) but vital functions such as heart rate, breathing, and so on. RETICULAR DAMAGE & IMMEDIATE LOSS OF CONSCIOUSNESS. In general, it is believed that the loss of consciousness following a brain injury is often due to abnormalities involving the reticular formation of the brainstem (chapter 17). 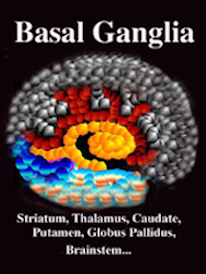 Indeed, destruction of the brainstem reticular formation invariably induces states of prolonged unconsciousness and unresponsiveness, which is accompanied by a slow, synchronized EEG, and frequently irreversible coma; i.e. the remainder of the brain cannot be activated. 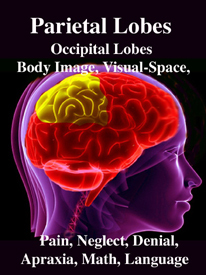 However, damage need not be severe or extensive for even small lesions in the brainstem, midbrain and thalamus can induce a protracted loss of consciousness. 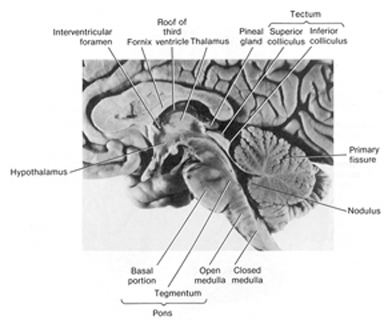 Frequently brainstem, midbrain, and thalamic damage are secondary to acceleration rotational forces. These brain structures may also be damaged as a consequence of intracranial hemorrhage, ischemia, compression and herniation. However, these effects of trauma may also be slow to develop. That is, a small artery or capillary may be damage resulting in a slow and gradual loss of blood (e.g. epidural hemorrhage), in which case patients will lose consciousness sometime after the injury. These conditions are also associated with temporal-parietal fractures and laceration of the middle meningeal artery and vein. Nevertheless, in these later instances the patient may seem normal for some time after the accident. However, as blood continues to leak and the brain becomes increasingly compressed, within a few hours or even days the patient begins to complain of headache, drowsiness, and confusion. With increasing blood loss the patient may suddenly experience seizures, hemiparesis and eventually loss of consciousness. 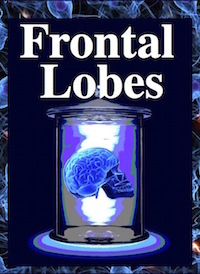 If blood loss continues there is a great threat of temporal lobe herniation and eventual crushing of the midbrain. Hence, these disturbances are life-threatening and requires surgical intervention and identification of the bleeding vessel. Loss of consciousness sometime after the injury is not always due to the development of hemorrhage. In some instances pain and emotional upset give rise to a vasopressor syncopal attack. Thus, following the injury the patient may walk about the room, seemingly returning to normal, and then turn pale and fall unconscious to the ground. In contrast, those who develop a hemorrhage or other disturbance lose consciousness at the time of injury but regain it after a few moments or minutes, only to fall back into unconsciousness later. Following a head injury, with or without skull fracture, the arteries and veins running above, below, or through the meningeal membranes (which cover the brain) may be stretched, broken, pierced, or ruptured. This results in blood loss and the development of a a blood clot, a hematoma. There are various types of hematomas. Some form below the dura, i.e. intradural hemotoma, whereas others develop between the skull and the meninges and are referred to as extradural. Both are due to bleeding inside the skull and the formation of a clot. The clot in turn acts to compress the brain. Extradural hemotomas are often secondary to a skull fracture and laceration of the meningenal arteries below the site of primary impact. There are several subtypes of intradural hemotoma, i.e. epidural, subdural, intracerebral all of which may occur and develop immediately at the time of primary insult, or slowly thus causing symptoms days, weeks or even months after the original head injury. Although 30-55% of those with severe head injuries develop hematomas, they also occur with mild injuries. Intracerebral hematomas are not very common. They are usually secondary to ruptured aneurysms, gunshot or stab wonds, and lacerations from depressed skull fractures. Epidural hematomas are also not very common as they tend to occur in less than 10% of all patients with severe head injury. Most are secondary to fractures of the temporal-parietal area and laceration of the middle meningeal artery. They are frequently quite slow to develop, appearing hours or even days after the injury. In most cases a patient will be struck and lose consciousness for a brief time period. Upon waking they seem lucid, but then as the hematoma develops they begin to increasingly complain of headache, irritablity, confusion. As the hematoma increases in size and compresses and damages the brain the patients symptoms become more severe and consciousness may again be lost. If the hematoma is not evacuated the patient is likely to die (Gallagher & Browder, 2008). Subdural hematomas are the most common of all and are associated with a very poor prognosis. These hematomas develop following damage to the various veins criss-crossing the subdural space. This results in a pool of blood developing over the surface of the entire brain. Patients may slowly or rapidly deteriorate and become markedly depressed or even stuporous as the hematoma enlarges and increasingly compresses the brain. In slowly developing undetected cases patients may continually complain of headache, develop alterations in personality as well as changes in level of consciousness. Eventually they may develop hemiparesis, language disorders, and other focal signs. Mortaility has ranged from 30-70%--even when removal of the hematoma is attempted (Nikas, 1987). 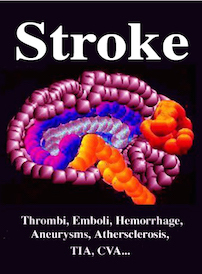 Unfortunately, CT-scan (Cooper et al., 1979), and in particular, MRI (Snow, Zimmerman, Gandy, et al., 1986), are not very useful in detecting the initial development of subdural hematomas, even when associated with hemorrhage (see Newton et al 1992, for related discussion). Hence, although an initial CT-scan may have been normal, if a patient subsequently deteriorates, the possibility of hematoma should be entertained. Hematomas are potentially life threatening and can cause extensive brain injury, including prolonged coma, the development of vegetative states, and even death. This is due to the effects of compression as well as secondary increases in intracranial pressure (ICP). The brain and skull are very tightly fitted and there is little room for expansion. Hence, when blood leaks into or around the brain, something has to give and make room. Because the skull is rigid and relatively inflexible, pressure is thus exerted on the soft tissue of the brain which in turn becomes compressed. Because of the compression the brain will shift within the cranial vault, press up and/or beneath the various dural tentorial compartments, or even become forced down into the foramen magnum at the base of the skull thus compressing the brainstem --which leads to death. These latter conditions are referred to collectively as herniations. Not all herniations are secondary to hematoma and many arise from tumors, stroke, or a combination of factors. As noted the skull is subdivided into compartments via the dura. Because of its compartmental arrangement, pressure may be high in one region of the brain and less so in yet another. Nevertheless, force will be exerted from a high pressure region into a low pressure zone causing displacement of the brain. Sometimes the brain is displaced over or under the dura causing tearing and further compression effects. Nevertheless, depending on where the brain is displaced, various types of herniation and subsequent brain damage may result. These include subfalcial, tonsillar and temporal lobe/tentorial herniations. Subfalcial herniation may occur secondary to frontal or parietal hematomas. With increased pressure in these areas the frontal-parietal areas tend to herniate medially under the falx cerebrei which separates the two hemispheres. That is, with subfalcial herniation the medial part of one frontal or parietal lobe is pushed under the falx damaging not only these regions but the cingulate gyrus. Tonsillar/cerebellar herniation. 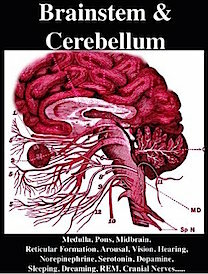 Pressure developing from a mass lesion tends to displace the brain and in particular the cerebellum in a downward direction This also results in brainstem compression as the cerebellum is forced down in the foramen magnum.. This lead to respiratory and vasomotor abnormalities, and eventually loss of consciousness. With increasing expansion there will be respiratory arrest and death. This form of herniation can also occur secondary to an expanding fronto-temporal lobe hematoma. A tentorial/temporal lobe herniation is due to swelling and pressure acting on the medial uncal region of the temporal lobe. 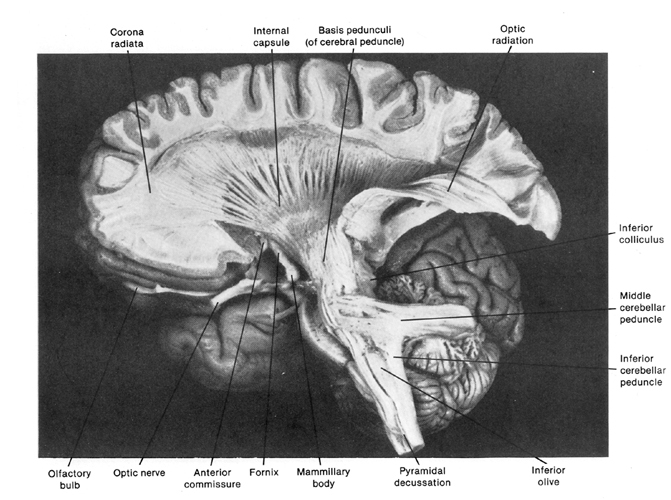 As pressure develops the temporal lobe is forced into the tentorial opening within which sits the midbrain. Consequently the midbrain, diencephalon and subthalamic regions are pressed against the opposite edge of the tentorial opening. Usually the oculomotor nerve becomes compressed which causes ptosis, pupil dilation, and loss of eye movement. 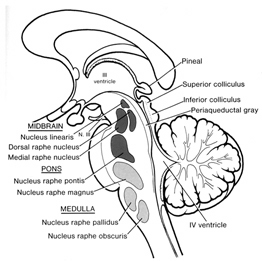 As pressure continues to develop the midbrain and diencephalon are shoved down into the posterior fossa compressing the brainstem. 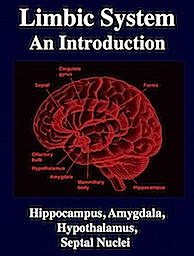 Due to interference with the reticular activating system, patients begin to experience rapid changes in conscious-awareness, become stuporous, descend into somnolence, to semicoma, to coma, develop irregular respiration, hemiplegia (due to compression of descending motor tracts) and/or decerebrate rigidity (i.e. extension of the extremities) until finally respiration is arrested and the patient dies. In part this is a consequence of disconnection of the brainstem from upper cortical centers and can also occur with subfacial or cerebellar herniation. In general, the ability to obey simple commands is often considered as indicative of the return of consciousness. However, patients may slide in and out of consciousness and/or display fluctuating levels of awareness. That is, the patient may appear confused, stuporous, or delirious. The patient is unresponsive and can only be aroused via intense, loud, or painful stimulation. They may open their eyes and in some cases make some type of verbal response only when vigrously stimulated. The patient has difficulty thinking in a coherent fashion and cannot carry out 2-step or complex commands. Their speech may consists of just a few words, they seem unaware of what is occurring around them and cannot grasp their immediate situation or the circumstances surrounding their condition. As such they are disoriented to time and place. This condition can be secondary to toxic disturbances as well as cerebral contusion. The patient is disoriented, shows fear and irritability, over reactivity and faulty perception of sensory stimuli sometimes accompanied by visual hallucinations. One need not actually suffer a severe head trauma in order to sustain significant damage to the brain and cognitive loss. Nor is loss of consciousness at the time of injury a prerequisite. That is, in some cases patients may experience a severe injury to the skull (e.g. depressed fracture) but only suffer mild brain damage. In contrast, a patient may seem to have sustained a mild skull injury and later demonstrate moderate to severe cognitive loss. 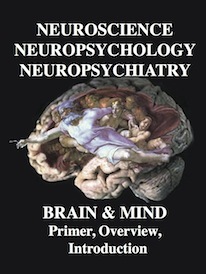 Nevertheless, it does appear that when a patient has lost consciousness, the longer the period of unconsciousness, the more widespread and debilitating is the injury and the loss of cognitive capability including memory functioning. 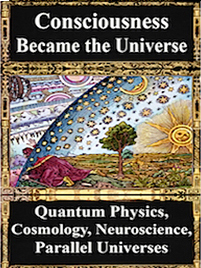 However, as pertaining to mild head traumas, particularly in cases where consciousness was not lost, there simply have not been enough studies conducted by trained neuropsychologists so as to properly delineate the full potential ramifications of these injuries. Nevertheless, recent studies have indicated that significant cognitive and neuropsychological disturbances are associated with even mild injuries with no evidence of loss of consciousness (Leininger et al. 2004; Montgomery et al. 2011). Two general indicators of severity are length of unconsciousness and extent of memory loss, both retrograde and anterograde (i.e. post-traumatic amnesia) from the time of injury. One major advance in this regard was the development of the Glasgow Coma Scale. The Glasgow Coma Scale (GCS) in effect provides standardized criteria for the assessment and description of head injury severity. Subsequently tremendous inter-rater reliabillty has been found in the use of this scale. 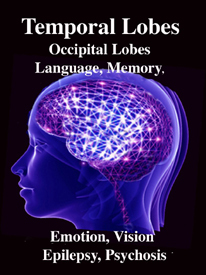 The GCS is composed of three major categories, Eye Opening, Motor Response, Verbal Response. The patients rating (or score) is based on his degree of ability to respond or react to various stimuli. If there is no response the patient receives a score of 1. Hence, the minimum score possible is 3. If the patient opens his eyes spontaneously he receives a score of "4". If he opens them only in response to speech and pain, he receives a score of "3". If only in reaction to pain the score is "2". If the patient can adequately motorically respond to and obey commands his score is "6". If his reaction is more limited and he is capable of only responding to pain in a generalized, albeit localized manner, e.g. attempting to brush away the source, his score is "5". If he can only withdraw a limb in response to pain the score is "4". Responses limited to abnormal flexion (decorticate) are given a score of "3", whereas abnormal extensions (decerebrate) in response to pain receive a score of "2". If the patient is oriented to time, person, and place the score received is "5". Confused spontaneous verbalizations yeild a score of "4". Inappropriate verbalizations (yelling, swearing) are given a rating of "3", and incomprehensible verbalizations limited for example, to moaning, are scored "2". Hence, a patient in a vegetative coma and completely unresponsive would receive a score of "3", whereas an individual who is fully responsive and alert would receive a score of "15". On the other hand, a patient who speaks inappropriate words, and opens their eyes and motorically withdraws only in response to painful stimuli will have a score of 9. In general, a GCS score of 8 or less is indicative of a severe head injury, 9-12 is considered moderate, and 13-15 is rated as mild. Mortality & GSC. Based on a review of a number of reports it appears that patients with a GCS score of 8 or less have a mortality rate of approximately 40% (35-50%), and that as the scores decrease the death rate increases. For example, those with a score between 3-5 have a mortality rate of approximately 60%, whereas individuals with a coma score of 6 or 7 who are between the ages of 30-50 have about a 50-50 chance of living or dying. There is also a significantly high mortality rate for individuals who remain in a coma for 6 hours or more (Jennett et al., 2007). Indeed, in one study, of 700 such cases who were still alive 6 months after their injury, half this group died over the course of the next six months; i.e. within 1 year of injury. In addition, the longer the coma the worse are the prospects for rehabilitation and the greater is the long term disability. Similarly, among children intellectual deficits and academic difficulties becomes more severe as coma length increases. Mortality (as well as severity) is also a function of age. Supposedly children suffer a lower risk of mortality from head injury as compared to adults. However, children who are physically abused, and babies who are repeatedly shaken (thus inducing brain injury; i.e. "shaken baby syndrome") are not likely to come to the attention of a physician. Nevertheless, very young children and infants have a mortality rate which is higher than older children. In general, however, the mortality rate increases with increasing age. For example, those over 40 with severe injuries have a death rate of up to 70% whereas the mortaility rate for those below forty is 23% (Nikas, 1987). Specifically, it has been estimated that for each year over age 35, the odds of death increase by 3.6% and decrease by the same amount for each year under 35 (Teasdale et al. 2004). Mortality: General Complications. Complications effecting recovery and leading to mortality most commonly include hypoxia, hypotension, seizures, infections (e.g. meningitis, abscess) and unrecognized mass lesions. Indeed, many patients will talk and show some alertness after injury but due to the later develoment of hypoxia and associated complications, die . The majority of patients who die, however, when first seen are often in a state of shock with subnormal blood pressure, hypothermia, fast pulse, and pale-moist skin. If this state persists along with deep coma, widely dilated pupils, no eye movements, flacid limbs, and irregular or rapid respiration, death usually follows. Hence, these are all grave prognostic signs. At autopsy there is usually evidence of cerebral contusion. focal swelling, hemorrhage, and necrosis. A minority of such patients, however, don't die and instead persists in a state of profound disability. Some patients will remain in a coma for months or even years and never regain consciousness. Others, however, although having suffered profound and very severe brain injuries, after a few weeks or months open their eyes and seemingly recover from their sleep-like coma, yet never truly regain consciousness . 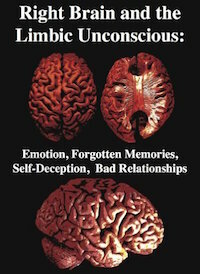 That is, recognizable mental and purposeful motor functioning never reappears. These patients are in a persistent vegetative state. Often such indivdividual demonsttate an absence of cortical functioning, although the lesion may be in the brainstem. In the majority of cases the brain stem is actually well preserved and it is the hemispheres and subcortical white matter which are most severely effected. According to Jennett & Plum (2002), after a few weeks these patients may open their eyes, first in response to pain, and then later spontaneously.. They may grimice, flex the limbs or blink to threat or to loud sounds and may make roving movements of the eyes. 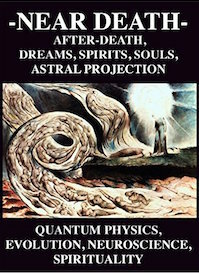 Sometimes they seemingly follow objects and may fixate on a physician or family member. This usually gives a family member or an inexperienced physician the erroneous impression that there is cognition. Indeed, in one case a vegetative patient was misdiagnosed as oriented to person (although she could not communicate) simply because sometimes she would open her eyes and seemingly fixate (for 1-3 seconds) on people who made sounds or called her name. However, she also would fixate on empty space and CT-scan indicated extensive and severe damage throughout the brain. 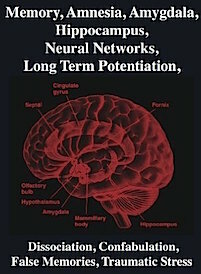 Nevertheless, among those is a vegetative state there is wakefulness without awareness and the patient remains inattentive and never speaks or gives any consistent sign indicating cognition or awareness of inner need. The limbs are often extended in a posture called decerebrate rigidity (i.e. arms and legs extended with the feet and hand internally rotated). However, after a few weeks or months this may also wear off. Sometimes there are fragments of coordinated movements that look purposeful, such as scratching, or movement toward a noxious stimulus. Patients may swallow food and water and may chew and grind their teeth for long time periods. Grunting and groaning may also be provoked thought most of the time these patients are silent. In this regard, however, their behavior is little different from that of an "anencephalic monster"; i.e. a child born with only a brainstem. It has been argued that the term "persistent" should not be applied until at least 1 year has elapsed since injury (Berrol, 2006). This is because some patients may actually improve from the vegetative state to one of severe disability --(that is, those with traumatic vs. hypoxic damage). However, the longer the patient is in a persistent vegetative state the less potential there is for any realistic change.